Many entrepreneurs elect to structure their business as either an LLC, partnership, or sole proprietorship. An important aspect to consider is the level of liability protection offered by each type of business entity. Be sure to understand the pros and cons of a sole proprietorship vs LLC vs partnership when you go to file. Setting up a business requires a lot of decision-making, including figuring out which type of business structure would be most beneficial. For example, one may weigh the benefits of a partnership vs LLC and mull over which option, amongst others, would best align with both short-term and long-term business goals. Knowing the difference between an LLC vs partnership before starting a business is of the utmost importance. Below you will find the definitions of each business structure (including variations), as well as a discussion of the benefits, liability, and tax arrangements for each. LLC, which is short for Limited Liability Company, is a business entity that limits the personal liability of its members. For example, if the LLC is struck with a lawsuit or debt, its owners do not have to use out-of-pocket funds to pay any settlements. LLCs are also considered pass-through entities, meaning that profits or losses generated by the company can be claimed by members on their personal tax returns. For these reasons, LLCs have become an increasingly popular option for entrepreneurs in the last decade, especially as they can be formed by just one person. A partnership is an arrangement where parties, otherwise known as partners, agree to go into business together. While an LLC can be formed by just one entrepreneur, a partnership must be formed by more than one co-owner. The partnership agreement will define each partner’s share of the entity, which can be varying degrees but must equal one hundred percent total. For example, a partnership of three co-owners can divide up their shares as 30 – 30 – 40. Similar to an LLC, a partnership is also considered a pass-through entity. However, the key difference to be aware of for LLC vs. partnership taxes is that a partnership is considered a taxing entity by the IRS, while an LLC is not. Each year, the partnership will file a tax return, but will not owe any taxes. The return documents are then used so that each partnership member can report profits and losses individually. When an individual runs a completely unincorporated business by themselves, the business is referred to as a sole proprietorship. Some individuals may choose to run a sole proprietorship because it is the easiest option, as it requires no formal action to form. In order to be considered a sole proprietorship, the owner must be the only individual selling goods or services, such as a freelancer. Through the lens of the IRS, there is no differentiation between the tax filings of a sole proprietor and any other type of individual. Now that the difference between a partnership vs LLC has been defined, it is also important to understand the liability protection for each type of entity. Many entrepreneurs will choose to form an LLC precisely because it will protect them from becoming personally liable in case of a debt or lawsuit. In a partnership, however, each member partner will be held personally liable. Furthermore, each member is held legally responsible for all other member’s actions. Because of this, individuals who wish to form a partnership should be extremely selective when choosing partners. However, this is not to say that those who choose to form an LLC are completely absolved from liability. In some extreme cases, such as when mismanagement or fraud committed by a member, an LLC member may be held personally liable. Some may argue that liability protection may be the key distinction and factor to consider when choosing between a general partnership vs LLC. Both are initially started by registering with the state in which the company intends to operate. Neither is subject to paying taxes. Otherwise known as pass-through taxation, the responsibility for filing a tax return is the job of each individual member or partner. Both partnerships and LLCs distribute profits and losses directly to their owners and partners. In a partnership, the debts of the business are the responsibility of each partner. LLCs award liability protection, meaning members are only liable for the debts of the business entity to the extent of their personal contribution. Typically, members aren’t liable for the company’s debts. 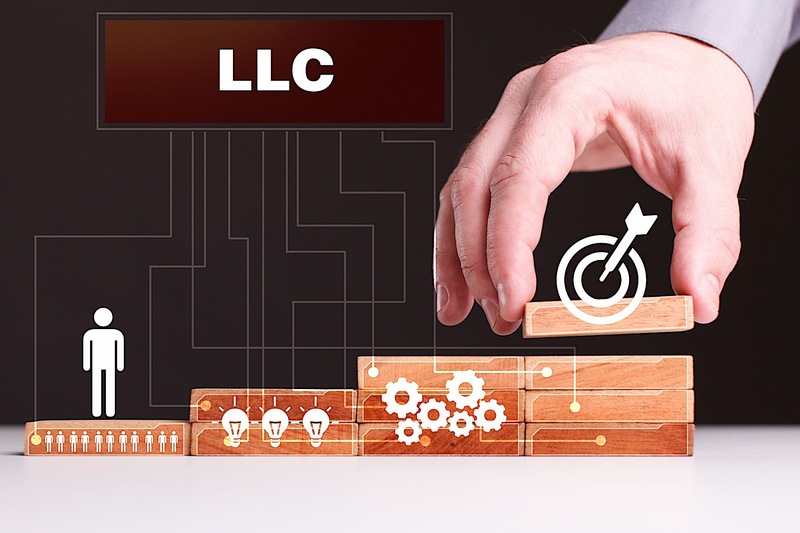 Now that we have discussed the differences between an LLC, a partnership, and a sole proprietorship (as well as the differences in liability protection), let us now explore the advantages and disadvantages generally associated with each type of business structure. Personal Liability Protection: Without a doubt, the single most compelling reason to start an LLC is the business entity’s ability to protect the owner’s capital. Business owners that file as an LLC are not personally responsible for business debts. As a result, creditors can’t go after each owner’s personal bank account, house, etc. There are, of course, exceptions to the rule, but they are exactly that: exceptions. For the most part, owners are not usually held liable if the LLC runs out of funds. Pass-Through Taxation: LLCs do not actually pay taxes, but their members do. As the name suggests, pass-through taxation witnesses a company’s profits and losses transfer directly to subsequent members. It is, therefore, up to the individual members to claim the profits and losses on their personal tax returns. No Member Limit: Whereas partnerships limit the amount of individuals under a particular business entity, LLCs do not. Likewise, most states don’t restrict ownership, which means individuals, corporations, other LLCs, and foreign entities are often permitted to join an LLC as a member. To that end, an LLC doesn’t have to consist of multiple members—a single member is entirely possible. Little Paperwork & Inexpensive Filing Costs: Compared to their corporate counterparts, LLCs typically coincide with less paperwork and lower filing costs. That said, LLCs still have more paperwork than partnerships. Although forming an LLC includes many advantages, there are some downsides that should be considered. For starters, as an LLC member, individuals cannot pay themselves wages. Although filing to form an LLC is relatively easy and inexpensive, some states may charge expensive renewal fees, as well as franchise or capital value taxes. Finally, a distinct benefit of LLC vs partnership (although some may consider it a negative) is that ownership is spread evenly among members. Pass-Through Taxation For All Members: Partnerships do not actually pay taxes, which means their members do. Again, pass-through taxation will witness a company’s profits and losses transfer directly to its members. As a result, the individual partners will need to claim the profits and losses on their personal tax returns. No Rigid Corporate Structure Necessary: Partnerships don’t follow the same tules as corporations and LLCs, and are subjected to much less paperwork and guidelines. Members Have Option To Take On Limited Partnership: Limited partnerships, as their names suggest, subject partners to less liability. In a limited partnership, there are one or more general partners and one or more limited partners, which spreads liability across everyone involved. Arguably, the key difference between a partnership vs llc is that members are equally liable for debts and losses made through the business. In this case, creditors can go after each members’ personal assets, unless the partnership has any limited partners. This also means that each member is liable for the debts and other actions executed by a partner. Privacy: Sole proprietorships are not required to file any formation documents with the government, which means business operations are not subject to public disclosure. Complete Control & Flexibility: Sole proprietors are in complete control of their own business. While many investors like the idea of a sole proprietorship, some may not be ready for the responsibility. Minimal Reporting Requirements: Businesses represented as a sole proprietorship don’t need to file an annual report with the state or federal governments. In general, this entity is simplified to help new business owners. Easier To Organize: This particular business entity has developed a reputation for being some to operate and less costly to organize. In particular, there are no forms to complete, and no government fees to pay, to form a business as a sole proprietorship. Although some individuals may prefer to have complete control and flexibility over their business, acting as a sole proprietor also means being completely and wholly liable for all debts. Because of this creditors can go after your personal property, in addition to your business assets. It should also be mentioned that creditors are more likely to extend credit for sole proprietors, because of unlimited liability, but banks may be more reluctant to provide loans. Deciding between forming a partnership vs LLC, or remaining as a sole proprietor, is a critical business decision that will affect your organizational, taxation, and liability structures indefinitely. There is no wrong or right answer; rather, the decision should be made based on which type of business structure provides the best set of advantages for your unique business circumstances and goals. The post Partnership Vs LLC: Pros & Cons [UPDATED 2019] appeared first on FortuneBuilders.